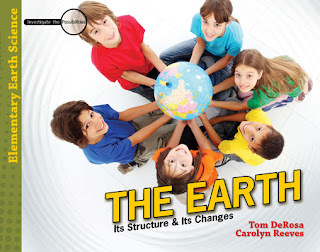 Hope's Cafe: The Earth: Structure and Changes-Book Review! Okay, so I am really late on getting this review posted. We've been traveling, and I got behind on my posting. But, I finally have internet access again! So, here we go with a review of the book "The Earth: It's Structure and Changes" by Tom DeRosa and Carolyn Reeves. This is a fascinating book about geology, for elementary grades (3-6). This book is excellent for homeschoolers, and M & M have both started using this in their Science class. M & M really enjoy the projects, and it gets them equipped to research and study out a topic, then be able to write out their thoughts on the subject. It is full of detailed pictures, as well as science projects that use common household items to further your child's learning. To learn more about this book, or to order, click here! Disclaimer: I was given a copy of this book for review from New Leaf Publishing Group. All thoughts and opinions are mine. Nice review; it's good to know you have good material for homeschooling. It must be really hard to keep the work interesting for the kids!